Ruh Ro! 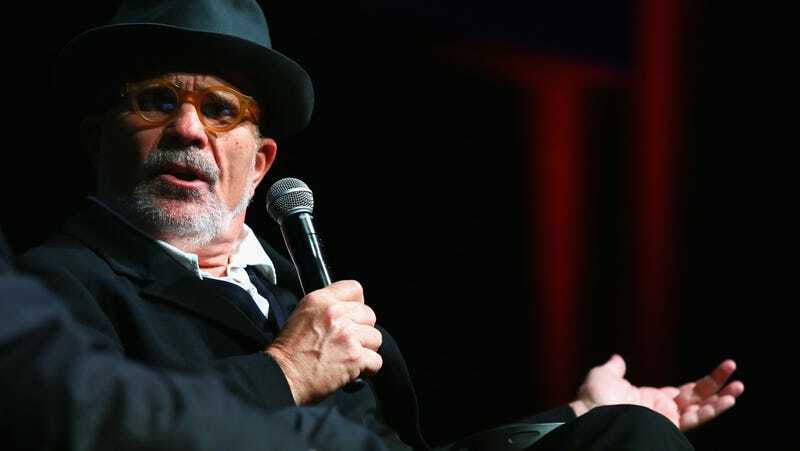 Playright David Mamet has stepped in to defend the characters of his friends Felicity Huffman and William H. Macy after they were caught paying a proctor to raise their daughter’s SAT scores as part of a sweeping college admissions scandal. According to Mamet, such lovely people do not deserve to be punished for flagrantly attempting to game the system with their wealth. Punishment should only be for poor people! “I worked for very many years in and around our Elite Universities. I am able to report that their admissions policies are an unfortunate and corrupt joke. Actually, I feel slightly better about the validity of the admissions process if the daughter of two well-known celebrities still couldn’t get into [checks notes]...USC? I figured private schools had an underground system that just fast-tracked wealthy scions straight to graduation day. Mamet then makes a plug for he and Macy’s theater company (in operation for 35 years, New York City real estate be damned!) before getting back to the matter at hand. That a parent’s zeal for her children’s future may have overcome her better judgment for a moment is not only unfortunate, it is, I know we parents would agree, a universal phenomenon. In other words, rich white people already get whatever they want. Why should they start facing consequences now? And while we’re on the subject (and Instagram is busted), Full House star Lori Loughlin was released for her own role in the scandal after posting $1 million bond. Again, these are the people on whom we must take pity.